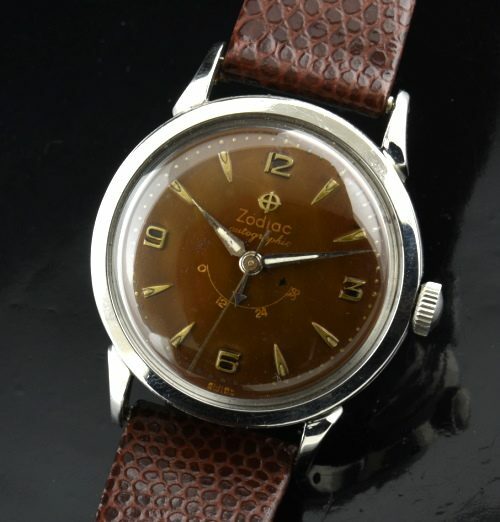 This is a vintage 1950’s ZODIAC with an automatic winding movement having a power reserve complication (indicating how many hours are left in the wind). The dial has beautifully aged to a “Havana” brown. The hands are original-re-lumed, but look much darker in person and on the wrist. 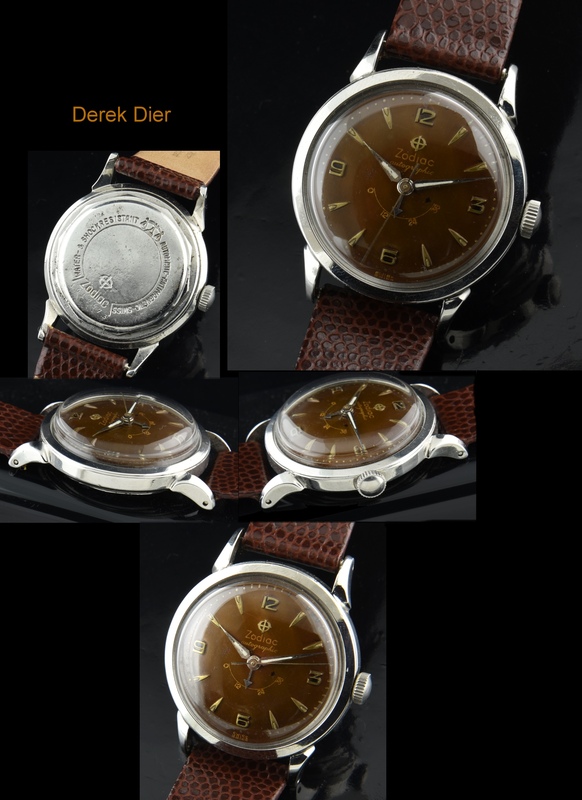 I love the “Explorer” style dial with raised Arabic numerals. The steel screw-back signed case measures 33mm. The fine automatic winding ZODIAC movement with power reserve indicator was just cleaned and is accurately keeping time. This is a cool looking watch.